Doug Payne and Vandiver. Photo by Libby Law Photography. 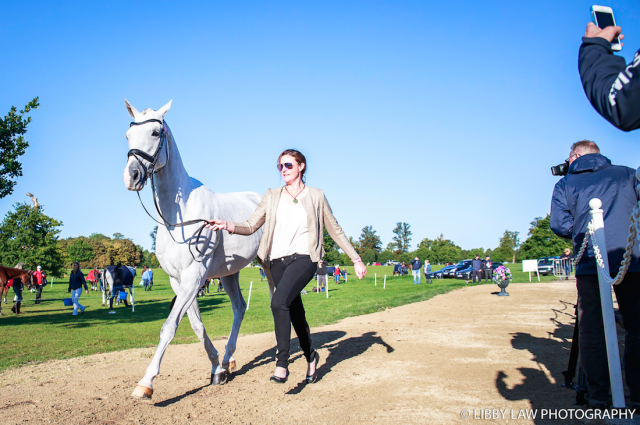 An astronomical 85 horses were presented at this morning’s first horse inspection for the CCI***, in front of the ground jury of Eric Leiby, Ciska van Meggelen and Jane Tolley. 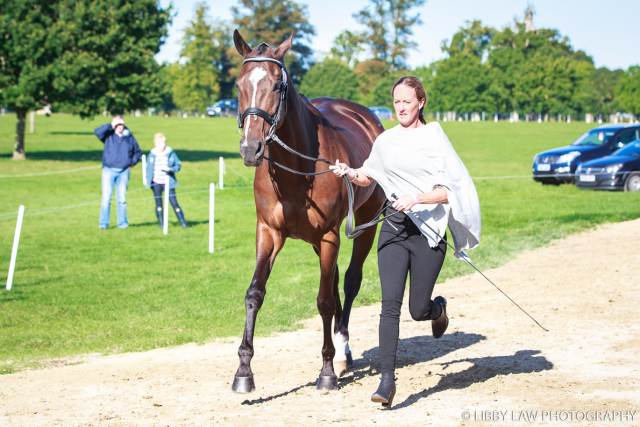 The entry list reads as a who’s-who of international eventing, with legends of the sport and first-timers at the level battling it out for the title at this prestigious event. Seven American riders will fly the stars and stripes in this class, and all were accepted without incident — despite the wind, crowds and more than one excitable terrier adding a bit of pizzazz to proceedings. Lauren Kieffer and Landmark’s Monte Carlo. Photo by Libby Law Photography. 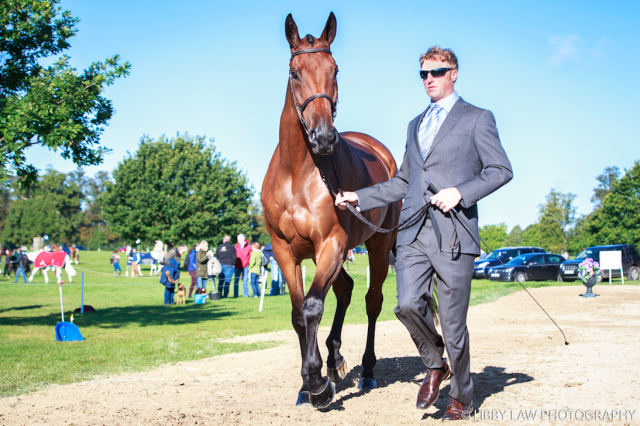 Everyone’s favourite event horse was also presented this morning, to a steady cascade of camera shutters. Cooley Rorkes Drift, known as Art to his friends, is firmly in the spotlight after rider Jonty Evans successfully crowdfunded his purchase. He’ll certainly have earned the prize for being the subject of the most selfies this week – although as a consummate professional, I certainly haven’t been one of those selfie-takers. Okay. Fine. I took about thirty. Liz Halliday-Sharp and Carpe Diem. Photo by Libby Law Photography. 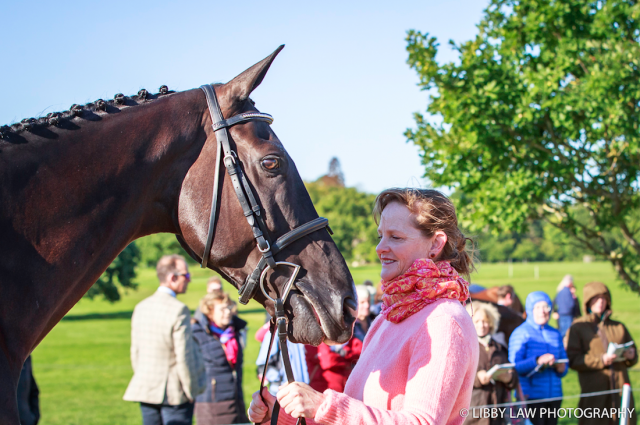 Keep an eye on EN, as we’ll be bringing you updates throughout the week on Twitter and Instagram, as well as full reports of how our riders are getting on in the CCI3*, the finale of the Event Rider Masters series, and the 8/9 year old CIC3*. 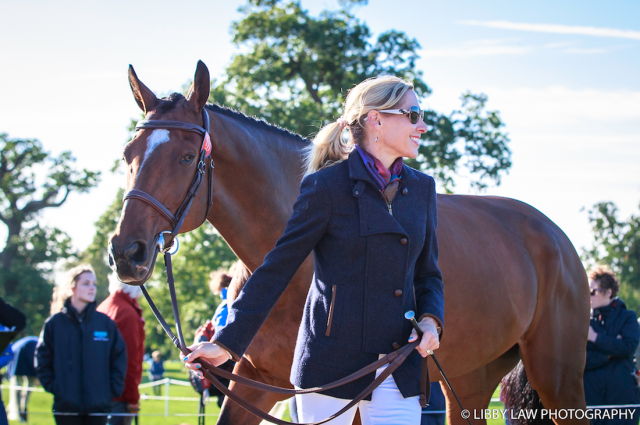 You’ll be able to follow along with all the action from the cross-country and show jumping phases on BETV’s live stream, too. And, of course, the entirety of the ERM will be broadcast live on Friday and Saturday.